Nintendo’s E3 treehouse began with Reggie talking about the history of the Legend of Zelda’s history as an open world game. 30 years ago, it allowed you to explore a world at your leisure and break the traditional game sequence if you wanted just by exploring the area in a different way. 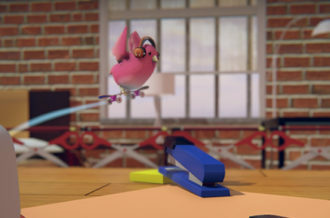 Hidden items could be found through manipulating the in-game world with bombs and object movement, and that trend continued as time went on. Legend of Zelda II: Adventure of Link gave you a blend of an overhead world and side-scrolling action, but was rough around the edges. The third entry was the iconic Link to the Past, and returned things to the original game’s formula. 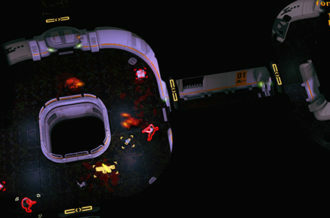 In doing so, a level of refinement was reached that wasn’t there before and the open-world aspect expanded a bit with light and dark worlds to explore. It was a solid improvement on the original, but didn’t reinvent the wheel in that regard and those seeking that were left a bit underwhelmed. However, a new level of immersion was reached with things like rain adding a lot of atmosphere to the experience. 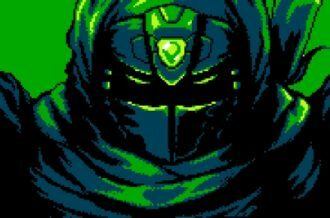 The more powerful SNES hardware gave the characters more expressions too, and allowed you to get into the plot more than before – where it was limited and more Point A to B with a limited scope. Ocarina of Time brought the series into the third dimension, and gave you the greatest amount of freedom available in the franchise to date. Beyond having the entire land of Hyrule to explore and find new characters and areas, you could also play a lot of mini-games. This diversity gave players the most amount of sheer things to do and introduced a lot of NPCs. You had the Mario and Luigi expies as farmers, you could ride Epona and engage in the best horseback riding to date in a game. At night, you could do that and defeat enemies on horseback while exploring the vast open fields of Hyrule. 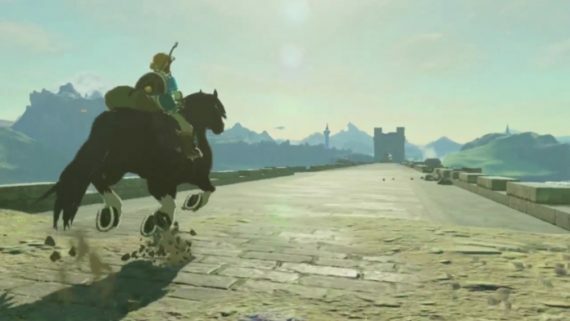 No Zelda game since has really gone beyond that level of open-world gameplay though – until now. Breath of the Wind’s initial trailer showed Link being beckoned by a female voice to open his eyes – bringing us the franchise debut of full-on voice acting. Sweeping views of brightly-lit grasslands lead to elk and deer running before Link jumps off a cliff and uses a makeshift paraglider to make his way down to the surface. Link can now traverse things through more than just jumping and hanging. Climbing is going to play a large part in making your way around the world and we now know that Link will be able to scale trees and large structures. While that changes things up to some degree, Link begins this adventure he always does – by waking up. 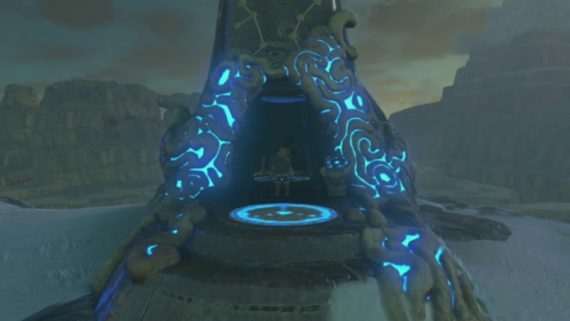 Only now, instead of it being in his house, he’s in the mysterious Shrine of Resurrection. The female voice summons him to the Sheikah Slate – a tablet with a screen on it that will seemingly be Link’s version of the Gamepad screen. Mushrooms are used to restore health – replacing hearts from past games. Link can climb up any vertical structure – but his endurance is shown in a gauge much like Shadow of the Colossus. With the large enemies shown in video form, one has to wonder if we’ll get a couple of homages to it during boss battles. 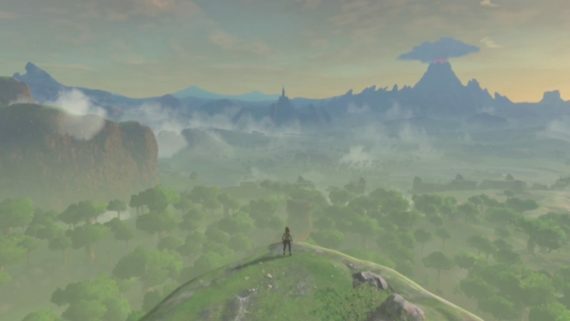 The E3 demo version limited players to the plateau area – which only takes up a small portion of the overall world, but still looks impressive in size. 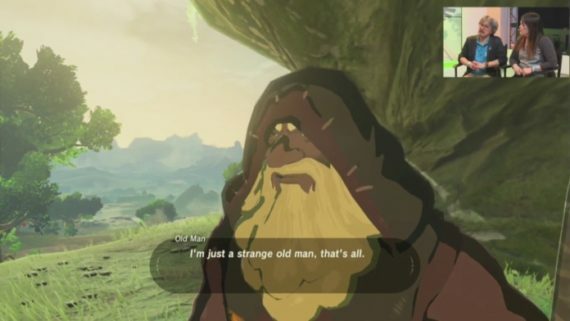 The first actual person Link meets is an old man – only instead of being warned that it’s dangerous to go alone and being given a sword, Link is given dialogue options for the first time. Link grabs a branch as a weapon and sets it ablaze, giving him a way to set things on fire and also stun yourself visually as the fire is accurately shown against the other parts of the game world. Link’s first bladed weapon is an axe, and he can use that to either take enemies out or chop wood to set campfires later on. Crafting also plays a role in healing, as you can hunt and cook meat to gain more health at the expense of that process taking more time than just munching on a mushroom. Link’s sword makes its debut and is finally used to attack enemies, and then defends himself with a makeshift shield in the form of a lid. Link’s shield can be broken though – but he can also use dropped weapons too. This leads to Link gaining yet another new weapon type – a spear. It’s slower than his usual bladed weapons, but gives him a lot more range to work with. Timing plays a large part in the combat as well. Landing a perfect strike doesn’t just do more damage, but it also slows your enemies down too. Fighting efficiently will allow you to conserve your health and rely less on healing items throughout the adventure. 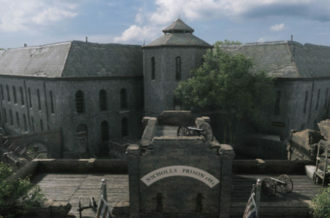 The game’s art style is inspired by both anime and gouache – open-air painting. For a Zelda franchise comparison, the closest one is probably Wind Waker since it does have character models that appear to be partially cel shaded. It’s a bit like Wind Waker HD, but a natural evolution of it. It’s impressive to look at, and makes the game look like an animated film in playable form. 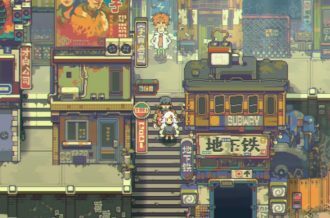 The musical style is going to be more open because the developers can’t just plan for players to be in a certain place at a certain time – leading to a more atmospheric feel because it relies on sound effects more than music. You’ll hear animals and monsters nearby, and listening to the grass rustling beneath Link is oddly soothing. While context-sensitve actions are still intact, jumping is now a core mechanic that can be done at any time since it chains so many other things to it. Crafting is also a new component, so beyond being able to hunt for food, you can also upgrade and replace damaged weapons. New abilities can be learned as well, and you aren’t limited to purely item-based character upgrades. Instead, Link can learn skills, such as magnesis. This allows him to move metal objects and manipulate their position in the world to suit his needs. The Legend of Zelda: Breath of the Wild doesn’t have a set release date, but does have a 2017 release window. 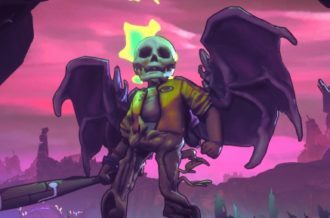 Based on what has been shown off so far, it looks like an amazing game. The Legend of Zelda formula has been well-worn for quite some time, and this looks to shake things up in many ways. It takes cues from more modern game design, but in a way that fits the Zelda framework. Breath of the Wild is currently set for a Wii U release, and we’ll be covering it extensively before and after its release.